What are a buyer’s options when purchasing a property encumbered by a pre-existing loan on a mortgage? In this blog post we will define and discuss some terms to look for when purchasing a property encumbered by a secured deed of trust or mortgage. Generally, a buyer has three choices when purchasing a property encumbered by a pre-existing mortgage: (i) require the seller to pay off the loan as part of the purchase and sale transaction or decide to pay it off yourself; (ii) expressly assume that pre-existing loan obligation; or (iii) purchase the property “subject to” the existing loan, while not assuming it. The advantages and disadvantages vary depending on which method is employed. (I) Pay off the existing loan. This can depend on current real estate interest rates. The primary factor here is whether the interest rate offered by the pre-existing loan is more favorable than current rates offered, or vice versa. Thus, if the pre-existing loan contains better terms than the current market, paying off the existing loan would be counter-productive. This assumes, of course, that the seller is not required to pay off the lien as part of the purchase and sale transaction. And, this assumes that the lender will agree to allow the new buyer to assume the obligations of the loan. If the buyer decides to pay off the pre-existing loan then the buyer must either bring cash or its own new loan to the transaction. If the buyer is going to obtain its own financing then it is important for the buyer to add a loan contingency to the purchase agreement to make sure that the buyer can back out of the transaction without risking its initial deposit if the loan is unobtainable for some reason. Paying off an existing loan is generally the cleanest type of transaction. (II) Assumption of the existing loan. 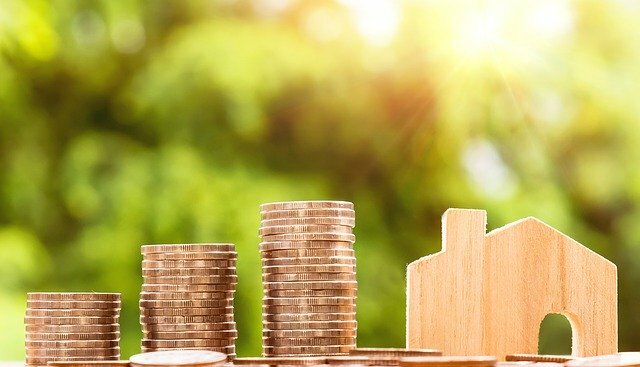 Assuming the loan is sometimes another option in connection with the purchase of real property. What is an assumption? An assumption of a loan is a written agreement whereby the buyer agrees to be contractually bound to a loan (promissory note) previously made between a 3rd party and the existing lender. That means the buyer is assenting to prior financing terms that it never negotiated. As previously stated, the main incentive for an assumption is if the terms of the pre-existing loan are more favorable than the current market for the same. For the sellers’ part, an assumption by a buyer will prevent the sale from triggering any potential due-on-sale requirements under the deed of trust. (III) Purchasing “subject to” the existing loan. Purchasing a property “subject to” a pre-existing loan secured by a deed of trust or mortgage is where the buyer is agreeing to purchase the property without contractually assuming the liabilities of the pre-existing loan. This means the buyer is not required to make payments on the pre-existing loan and would not be personally liable for the debts upon its default. However, this option is very unlikely, as the seller would almost never agree to remain liable for payments upon a property that they no longer possess. Even if the seller agreed to it, a buyer should remain weary of this option because of the lack of predictability. If the seller defaults on its payments, the lender may choose to foreclose under their deed of trust or mortgage, thereby selling the property and evicting the buyer. This lack of predictability is a huge risk for nearly all buyers. Moreover, even if the buyer makes the payments the lender still may foreclosure because of the due on sale language likely contained in the deed of trust.